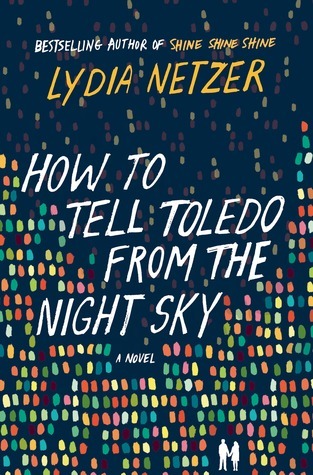 Friends raved to me about Netzer’s first book SHINE SHINE SHINE, so I added it to my to-read list, but as it happened received a copy of HOW TO TELL TOLEDO FROM THE NIGHT SKY before I read the former. Based on the glowing reviews of SHINE, this one cut the line in my read-next pile. The premise is difficult to describe without, arguably, revealing too much. 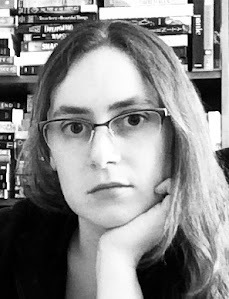 Thematically it’s about the nature vs. nurture debate applied to soulmates. Can two people be crafted into perfect mates for each other - or is love too complex to formularize? The story has an epic, fantastical feeling, though lacks the kind of whimsy I enjoy in similar tales. Enter our main characters, Irene and George, both highly acclaimed scientists. However, George also has spiritual hallucinations wherever he goes. Goddesses follow him around, vocalizing their will. Raised by a recently deceased alcoholic mother, Irene is far more serious and cynical and would dismiss George’s visions as insanity in a second. Unfortunately, I found these undoubtedly unique characters a little too odd to be believable and relatable. Given that I value characters above all else in a story my lack of conviction in this cast made the book veer away from my literary taste. 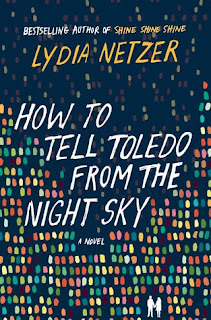 Though HOW TO TELL TOLEDO FROM THE NIGHT SKY wasn’t quite for me, it’s still a well-written, thoughtful book that I imagine the right reader would adore. Its philosophy certainly invites some heated book group debate.